March 13, 1781. The seventh planet – Uranus – was discovered on this date, completely by accident. British astronomer William Herschel was performing a survey of all stars of at least magnitude 8 – stars slightly too faint to be seen with the eye alone, in other words. That’s when he noticed a very faint object – only barely above the limit for viewing with the eye – that that moved in front of the fixed stars. 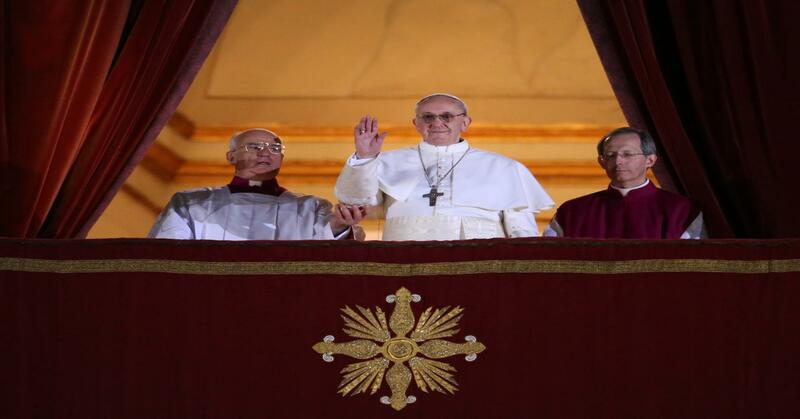 This movement clearly demonstrated the object was closer to us than the stars. At first he thought he had found a comet. Later, he and others realized it was a new planet in orbit around our sun, the first new planet discovered since ancient times. Astronomers later learned they had observed Uranus as far back as 1690. They’d just never really noticed it before. It was Herschel who first realized the true nature of this distant light in our sky. 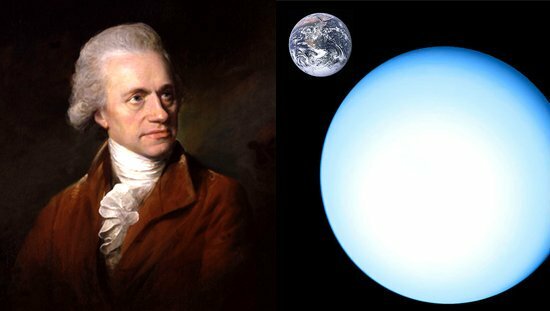 Herschel proposed to name the object Georgium Sidus, after King George III, but those outside of Britain weren’t pleased with the idea. Instead, on the suggestion of astronomer Johann Elert Bode, astronomers decided to follow the convention of naming planets for the ancient gods. Uranus – an ancient sky god, and one of the earliest gods in Greek mythology – was sometimes called Father Sky and was considered to be the son and husband of Gaia, or Mother Earth. King George III was pleased, whatever the name. As a result of Herschel’s discovery, the king knighted him and appointed him to the position of court astronomer. The pension attached let Herschel quit his day job as a musician and focus his full attention on observing the heavens. He went on to discover several moons around other gas giant planets. He also compiled a catalog of 2,500 celestial objects that’s still in use today. 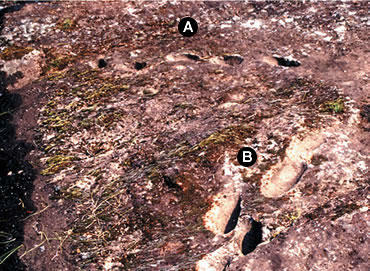 The journal Nature reports that 350,000-year-old footprints have been found in Italy. Scientists in Italy have discovered 350,000-year-old tracks that may be the oldest known footprints made by Stone Age man.The prints were made by three early, upright-walking humans as they descended the treacherous side of a volcano perhaps to escape an eruption, researchers reported in Thursday’s issue of the journal Nature. Other scientists said that while the prints appear well-preserved, they add little to knowledge about human evolution, since footprints of far older human ancestors have been found. But they said the tracks are still a sobering testament to long-ago journeys across a harsh terrain.Scientists in Italy have discovered 350,000-year-old tracks that may be the oldest known footprints made by Stone Age man. The prints were made by three early, upright-walking humans as they descended the treacherous side of a volcano — perhaps to escape an eruption, researchers reported in Thursday’s issue of the journal Nature.Other scientists said that while the prints appear well-preserved, they add little to knowledge about human evolution, since footprints of far older human ancestors have been found. But they said the tracks are still a sobering testament to long-ago journeys across a harsh terrain. Sixteen school children and one teacher are killed in Dunblane, Scotland by Thomas Hamilton who then commits suicide. the longest undersea tunnel in the world opens between Aomori and Hakodate in Japan. In Dunblane, Scotland, 16 Primary School children and one teacher are shot dead by a spree killer, Thomas Watt Hamilton who then commits suicide. The Dunblane massacre Scotland, 16 Primary School children and 1 teacher are shot dead by Thomas Watt Hamilton who then commits suicide.